Our business started in 1986 with Lois Van Wyk and her mother, Dorothy Ter Louw, creating unique applique sweatshirts for colleges throughout the Midwest and the annual balloon festival in Indianola. It wasn't long before they both realized this was a business opportunity they wanted to pursue. In 1999, due to the success of the business, Casual Rags moved into its current location in order to serve an increasing customer base. 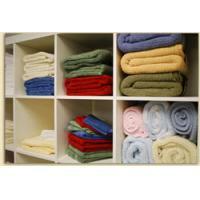 Over the years, Casual Rags has focused more and more on business and corporate embroidery and apparel. Now, twenty-seven years later, Lois and her daughter, Stacie Baker, are working together as another mother/daughter team. 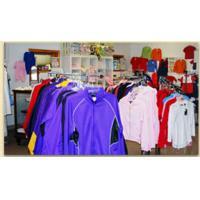 Casual Rags, located in Indianola, Iowa, offers personalized embroidery and quality apparel for your every need. 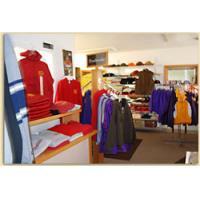 Casual Rags Embroidery & Apparel offers full-service embroidery and a wide selection of apparel and accessories. Our embroidery services include digitizing designs and logos for businesses, churches, schools, colleges, clubs, and organizations of all types. (Digitizing is the process of putting art and text into stitches for embroidery.) We accept orders of all sizes. However, special pricing may be available on large orders. 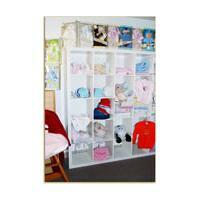 Please email or call us to see how we can help meet your needs. We pride ourselves on providing quality embroidery and apparel while delivering exceptional customer service.